On November 5th I discussed a fake Frans Hals which cried fake to me, even without the testing that revealed that it included pigments that were not invented until the 20th Century. Just the look of the thing was wrong—too cool, too modern. 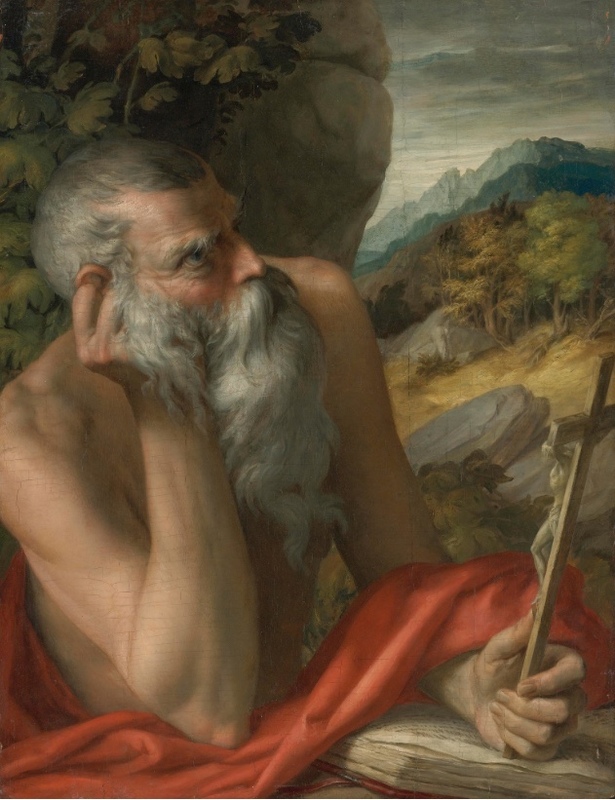 Then last week this image of St. Jerome, supposedly by the 16th Century Mannerist Parmigianino, turns out to be a fake, again betrayed by the presence of modern pigments. But while the “Hals” jumped out at me, this did not. I haven’t looked at enough genuine Parmigianinos to get my eye in tune. It doesn’t seem wrong to me the way the “Hals” did. It just seems rather blah, whatever it might be. 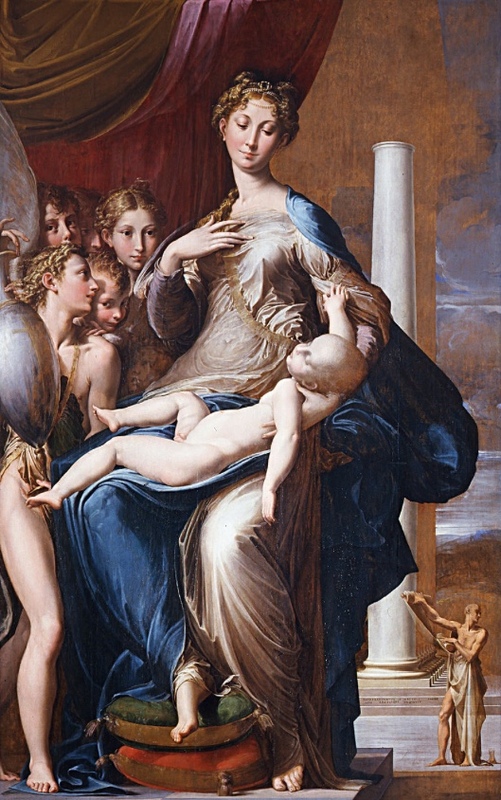 But enthusiasts keen to collect a famous name, even enthusiasts familiar with Parmigianino’s altogether more muscular and decisive “Madonna With The Long Neck” (below), wouldn’t necessarily be put off. A slack Parmigianino is still a Parmigianino. Sotheby’s thought it good enough to put up for sale. Some unfortunate collector was convinced enough to fork over $672,000 for it. Forgers, of course, feed on the appetite for the unexpected treasures that turn up from time to time, often in attics and suchlike places. Provenance of such discoveries is, naturally, obscure. All you can do is look. The background landscape is really pretty good. And we are, after all, at no less a house than Sotheby’s. Forgers delight in taunting the art world—okay, they’ve been caught this time, but most of the time they’ve gotten away with it. The bulk of their work, they chuckle, is out there in the best museums, admired by all. And no doubt, at least occasionally, this is true. And anyway, how do I know that the “Madonna” is the genuine article? Wikipedia gives it that dignity, but are we really. . . ? For the story of this “Parmigianino,” check out “Second Old Master Painting a Fake, Says Sotheby’s in Lawsuit” in The New York Times, 1/17/17.